Los Angeles isn’t all about Disneyland and Mickey Mouse. Though kids of all ages love the theme parks, it’s just a short drive from Anaheim and there are many cool things to see there. Leave early when you drive anywhere, because L.A. traffic can be brutal. If there’s no accident – which is rare – you can get into the city in only 30 minutes. Here are some places you might want to check out away from Disney. 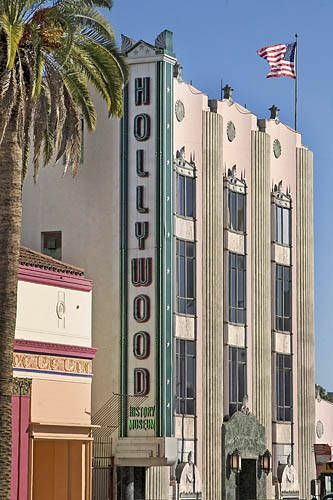 The Hollywood Museum has over 10,000 items on display, including Cary Grant’s Rolls Royce, Marilyn Monroe’s dresses and Indiana Jones’ bullwhip. Allow a few hours here, in case you get sucked in by all the memorabilia. Regular admission is just $15. The Hop-on Hop-off bus tour gives you a chance to ride on an open-top double-decker bus along the coast and through Brentwood, Rodeo Drive and Beverly Hills. The bus has running commentary along the route and you can stop off at a number of places along the way. Rides are $40 per person, but you can get a deal if you purchase a GoCard that includes this and other Hollywood attractions. GoCards are great budget traveler take-alongs. They help you do more on your trips and stay within your vacation allowance at the same time. Who doesn’t love that? Even if you’ll just be in town a day or two, it can save you big bucks and allow you to skip the ticket lines at some of the city’s most popular attractions. 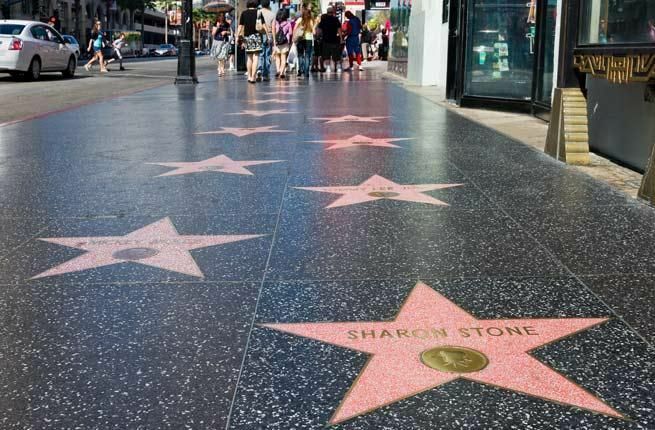 Walk along the Hollywood Walk of Fame and see famous names of entertainers. It’s free and can be really fun for photo ops. It also runs along Hollywood Blvd where you can view the hand and footprints of celebrities in front of Graumann’s Chinese Theater. 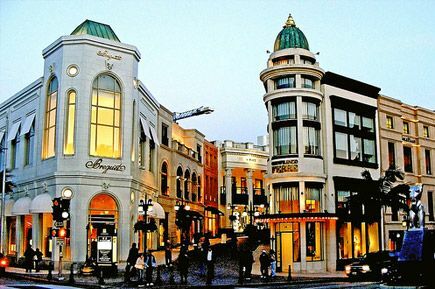 Rodeo Drive is the place to go if you want a chance to spot a famous face and pick up some brand name merchandise. Even if you don’t have the budget to bring anything home, you can still window shop or browse in some of the more intriguing shops. 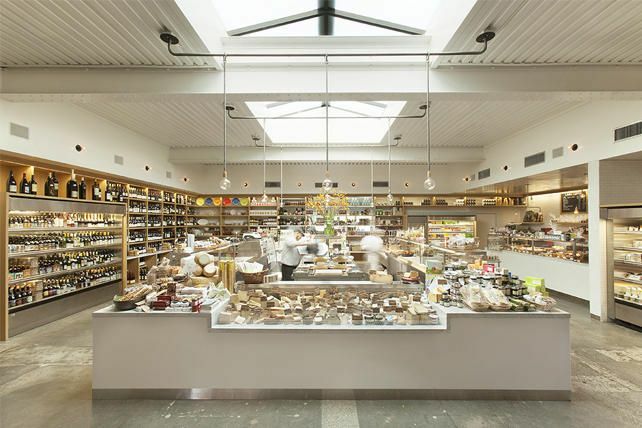 Brentwood Country Mart is like stepping into a Martha Stewart magazine. This market has everything from food, dining, shopping and entertainment in a large building that looks like a fancy barn. Less exclusive than Rodeo, but it has many smaller boutique shops under its roof. It’s definitely worth a stop. 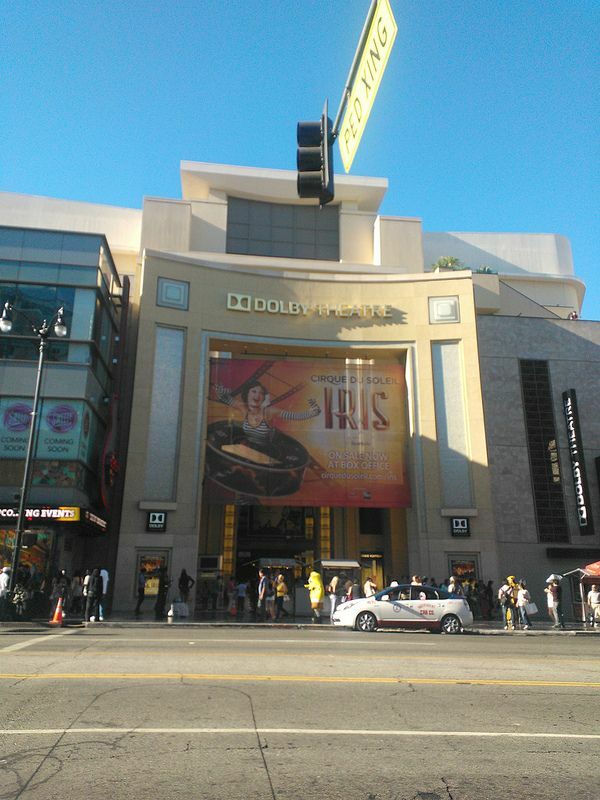 Tour the Dolby Theater, the permanent home to the Emmys and, during the two months they aren’t setting up and taking apart things for that, Cirque du Soleil. Tickets are normally $15. The tour is 30-60 minutes long, depending on how many questions are asked, and you learn about who gets invites to the Emmy’s, security, the red carpet and VIP areas. Santa Monica Pier has a wonderful beach and Pacific Park. You can catch some rays, ride some amusement rides – like the world’s only solar-powered Ferris wheel – or try your hand at carnival games. Unlimited ride bracelets are generally $23 for an adult. The pier is also surrounded by fun shops and recommended restaurants. Venice Beach and Canals are just four miles from Santa Monica. Originally meant to be an exact replica of Venice, Italy, only some of the canals still exist. Not only can you cross the bridges over the water, but you can see some of the most impressive houses in the L.A. area. It costs nothing to enjoy the scenery, so imagine you’re rich and in Italy as you walk along the canals. Though L.A. seems quite spread out, it isn’t much bigger than any other large city. Many things are just on the outskirts of town and easy to get to due to less traffic. There is so much to do that even frequent Los Angeles visitors may not have seen it all. Learn more about where to go in Los Angeles in my 48 Hours post. Where are your favorite non-theme park places in LA?